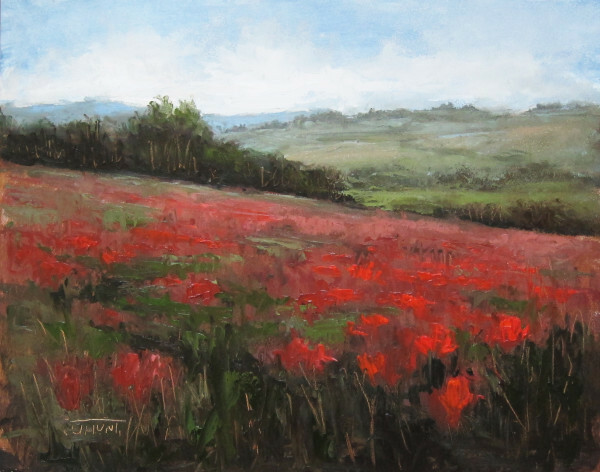 Meet Artwork Archive artist and acclaimed painter Jane Hunt. Starting as an illustrator, Jane wasn’t sure if she could make it as a professional fine artist. 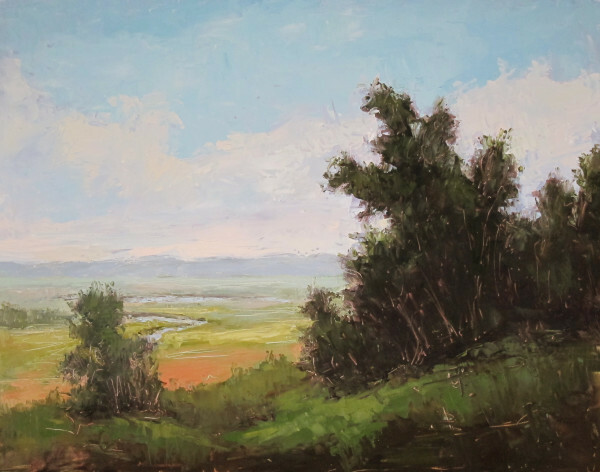 She unexpectedly fell in love with landscape and plein air painting and has never looked back. Now, 25 years since starting to paint, her art is showcased in prominent galleries across the US and UK, and has amassed a tremendous following. Her luminous work aims to capture Earth’s peaceful beauty. When she’s not painting impressionistic, serene imagery, Jane is passing on valuable advice about the importance of provenance and documentation to her workshop students. She generously shares her knowledge with us as well as why Artwork Archive is an essential tool for professional artists. Want to see more of Jane’s art? Visit her Artwork Archive Public Page. 1. TELL US ABOUT YOURSELF AND WHY YOU PAINT. I have been painting in various forms for 25 years. I moved from England when I was a teenager and went to art school at the Cleveland Institute of Art to study illustration. I didn’t think it was possible to make it as a fine artist at that point. I worked as an illustrator for a few years, but I was pulled to big, textural pieces. Eventually I had some family difficulties that made it so I couldn’t paint for three years, which was very challenging. 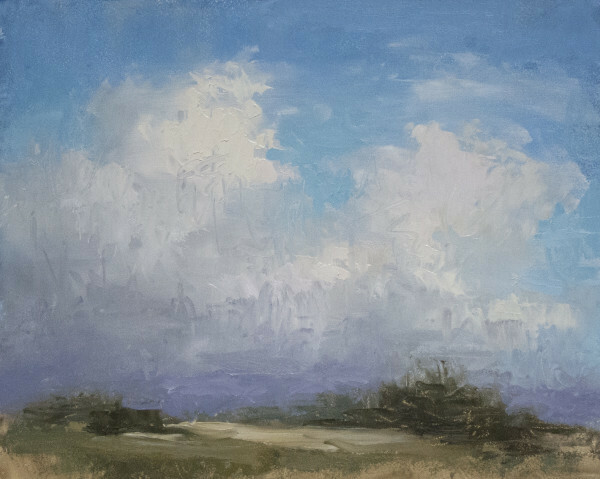 I started plein air painting between hospital appointments because it was easy to fit in. It changed the whole way I painted. 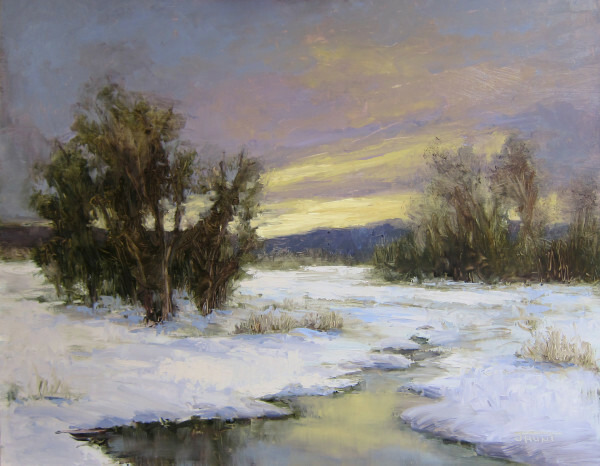 Now I do it all the time as well as teach studio and plein air workshops. It hugely influences my studio pieces. My current landscapes are a nice hybrid between the abstracted landscapes and illustration I was doing previously. I’m drawn to serene, peaceful scenes—it’s emotional. 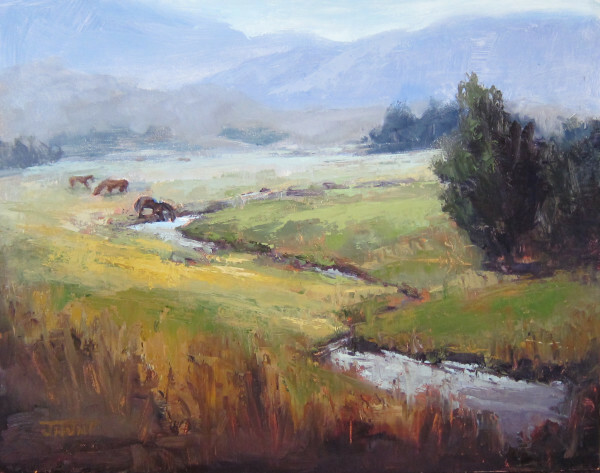 I often paint quiet, calm, pastoral landscapes. 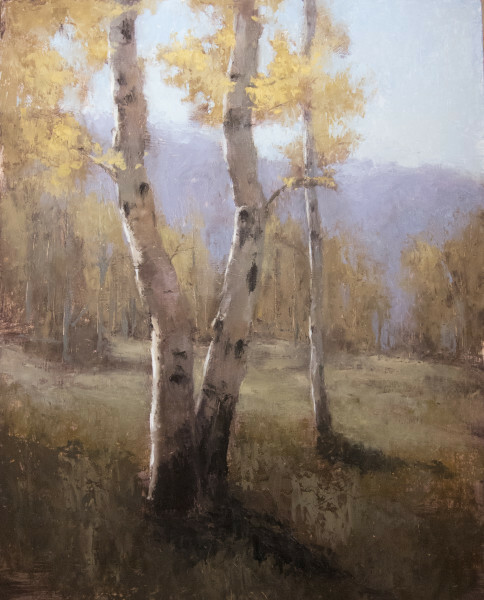 I mostly paint in Colorado, and teach in Washington and Arizona for PACE when I go on teaching trips. 2. HOW DID YOU FIND ARTWORK ARCHIVE AND WHY DID YOU SIGN UP? My good friend Heather Arenas raved and raved about it. I was overwhelmed by the management aspect when I was getting back into my painting career, so I decided to give it a try. Getting a hold of my inventory was the most important thing for me. I’ve accidently double sold a piece before. I sold it to someone and it had been sold at one of my galleries at the same time. As my art business has grown, it’s been increasingly difficult to keep track of everything. I’ve also entered a painting into a show when it was actually unavailable in a gallery. It was very stressful not knowing where everything was. I kept feeling like I was going to mess up. Artists need to have a handle on what piece is where. It makes your art time less stressful too. It’s important to have a good system in place. I used to have details in random documents and lists stuck to my walls. I tried to come up with my own system, but it was a waste of time. It wasn’t streamlined or very useful. Using Artwork Archive saves time. I have more time to paint and market my artwork instead of worrying about organization. 3. WHAT WOULD YOU TELL OTHER ARTISTS CONSIDERING ARTWORK ARCHIVE? Don’t procrastinate, and start documenting your work immediately. The sooner you get started and the sooner you have a system in place, the better. Get on it even if you think you’re just making art for fun. You’re still going to want to have a record of your pieces. Some people say, “I don’t need to catalog my work, I’m not a professional artist”, but I still think it’s necessary. No one starts off as a professional artist. I’m really kicking myself that I didn’t catalog my artwork from the beginning. I’m really sad all those pieces are lost. You need to have a record of your life’s work. When you do a retrospective down the road, you won’t have records of your earlier work if you don’t document it. It’s a good way to live and it’s so important. Everyone should plan for success. 4. DO YOU THINK IT’S IMPORTANT TO DOCUMENT YOUR ART TO BUILD PROVENANCE? I’m a huge believer in provenance and documentation. I didn’t used to understand how incredibly important it is. I’ve been painting for 25 years and I don’t know what’s happened to most of my art. I’d like to have an accurate record of what I’ve done over my lifetime. 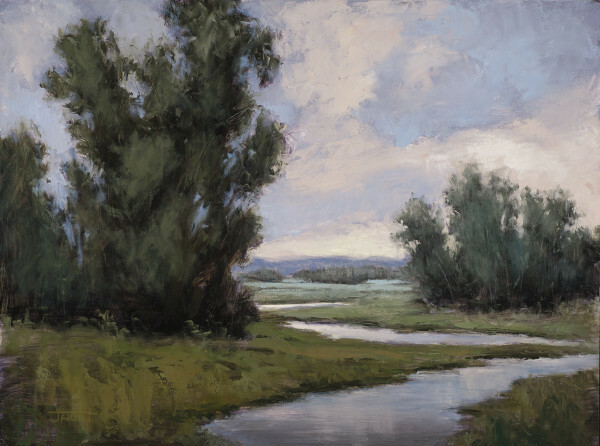 People are also fascinated by the story behind a work, especially plein air paintings. They want to know the exact place it was painted. Some of the galleries I'm in want to brag about the awards certain pieces have won. Whenever I give my galleries that information, they’re ecstatic. And, anyone who can make the gallerist or curator’s job easier is more likely to be featured. 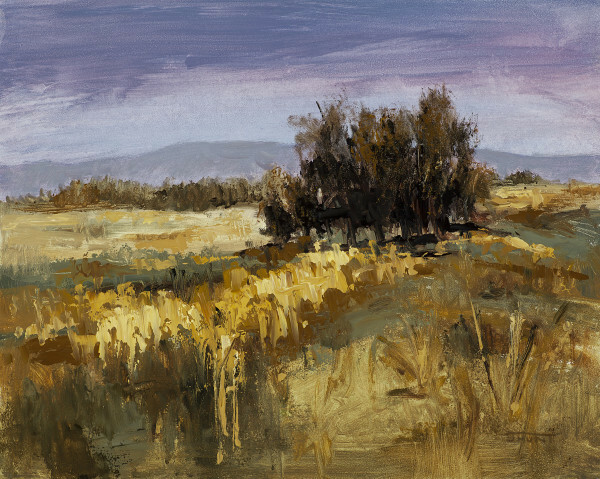 Executive Director of the Irvine Museum and curator, Jean Stern recently did a podcast with Eric Rhoads of PleinAir Magazine. He says the biggest thing that artists don’t understand is provenance. He stresses artists need to sign their name clearly and have tons of information to go along with their artwork, like where it’s been shown and the details behind the piece. 5. YOU RUN ARTIST WORKSHOPS, WHAT ARE SOME OTHER TIPS YOU GIVE ARTISTS TO HELP THEM GROW THEIR CAREER? Grow your social media presence. If you have an extra five hours a week because you’re using Artwork Archive, you’re better off using it on social media. I’ve grown my artist Facebook page to over 130,000 followers. It’s helped my career hugely in many, many ways. I use the “WHAT” acronym to plan my social media strategy. The “W” is why you want to do it and what you’re getting out of it. It can also stand for which platform you want to use. Using one social media platform really well is much better than using five not very well—I personally prefer Facebook and Instagram. The “H” is how you’re going to use social media to help your art business. Spend some time researching the best ways to use your chosen platform and learn the basics. You want to make sure you really understand what it is and get the terminology down. Maybe spend an hour reading up on the platform on Google before diving in. The “A” stands for action plan. Look at what other people in your field are doing on social media, think about how to brand yourself, and also decide how much time you’re able to spend on it. I spend no more than half an hour a day on social media. Your action plan should be guided by the “why”. Is it to fill workshops? For galleries to see you? For collectors to view your artwork? The “T” is for tweak. Look at your analytics, keep experimenting with your posts, and pay close attention to what is and isn’t working. 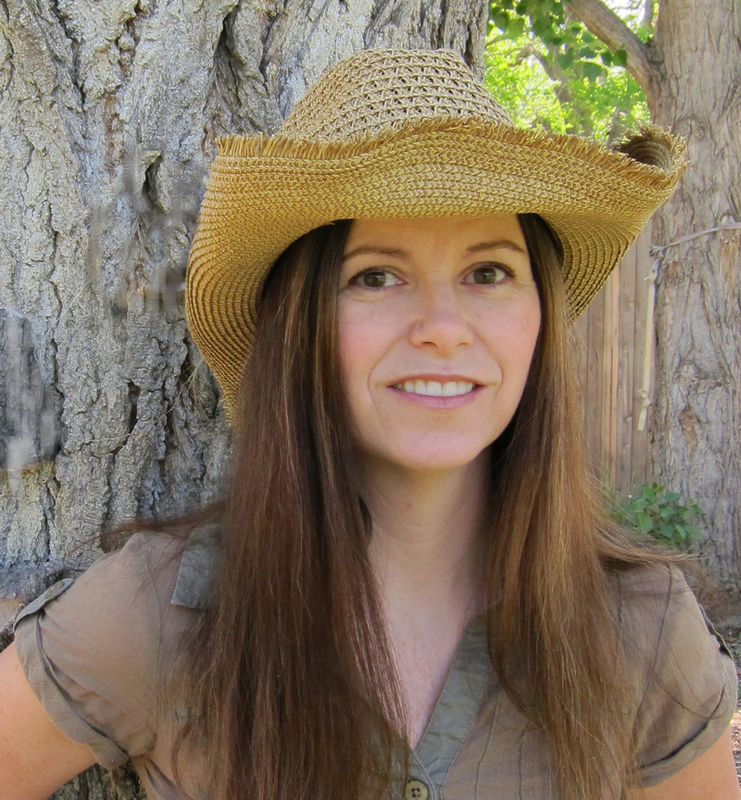 Learn more about Jane Hunt on her website and artist Facebook page. 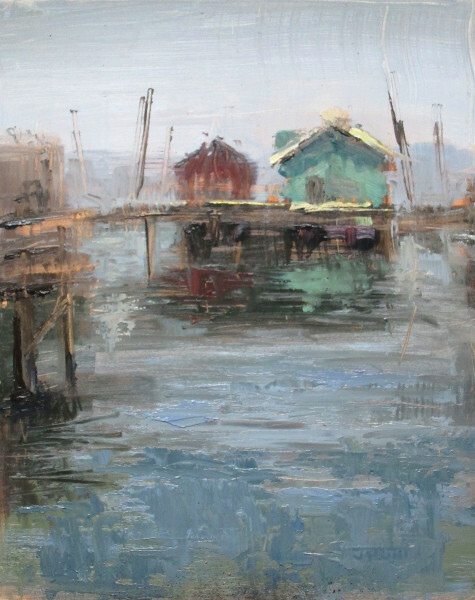 Jane is also a faculty member at the 2016 Plein Air Convention and Expo. To become an Artwork Archive member like Jane Hunt, click here to start your free trial.